I have been travelling in Africa for over three decades. In that time, I have been on countless safaris; by Land Rover, on foot, by canoe and horseback, up and down mountains and valleys. The sense of wonder and appreciation of natural beauty has never left me. There are, of course, individual animals which I prefer above all others. Some are large, very large and some small but all, for some reason or other, have endeared themselves towards me. I will start with the very large. 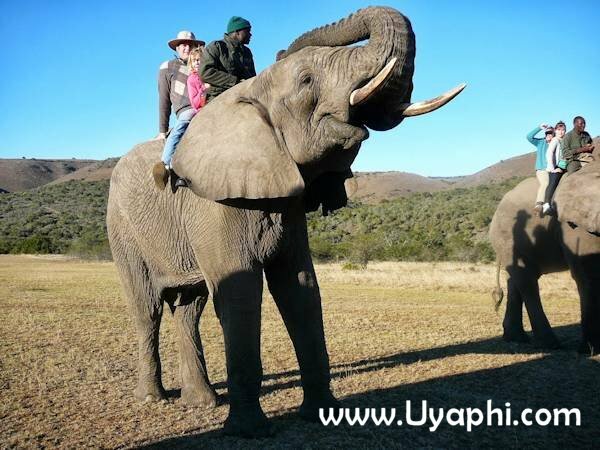 The African elephant is the poster boy for safaris. Huge and gracious, gentle and ferocious. I know he causes vast devastation wherever he goes. To eat one leaf on a branch, he will knock over and crush a century old tree. And he eats a lot. On average, an adult will consume 150 kilos a day of vegetation. I have come close to these animals in the bush; sometimes steering too close and having to beat a hasty retreat. 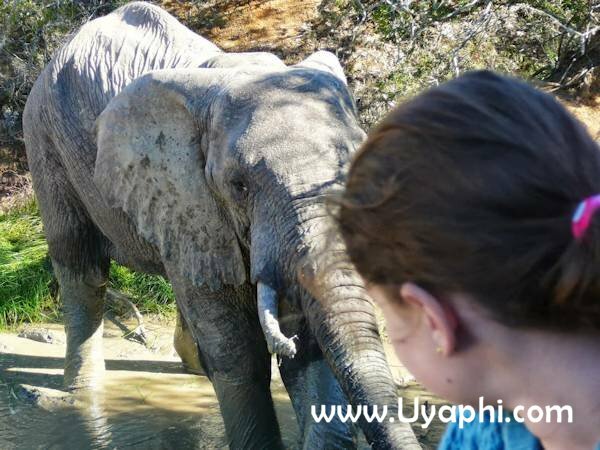 A recent invitation to Addo Elephant Back Safari Lodge near Addo National Park in the Eastern Cape was a chance to satiate my decades-long desire to touch and feel one in a natural setting. Often in nature conservancy, there are moral debates. 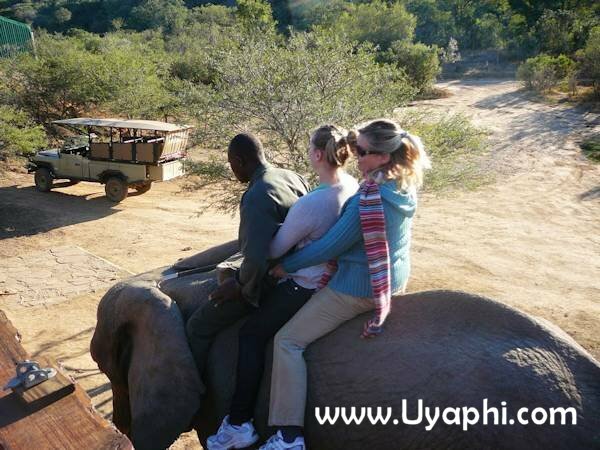 In this case, is this experience of going to ride on the back of an elephant little more than a circus outing by animals trained as performers? These arguments can never be won with each adversary tenaciously standing their ground. All I can say and write is that it was a wonderfully satisfying experience with no evidence that the elephants were stressed or distressed or were unhappy in any way. They roamed the natural, mountainous bush setting with a couple of flyweights on their backs, eating at will. There was no saddle, and the handlers were mines of information about everything you ever wanted to know about elephants. In fact, that was one of the most satisfying aspects of the visit. The evident enthusiasm and love, yes, love, for their charges. We learnt a mine of information. An elephants trunk has 50000 muscles and can hold 17 litres of water. Ears act as vast fans to cool themselves down. The exterior of their skin was a very hard leather, but the underside of their ears felt as soft as silk. It is a difficult road to reach the lodge climbing the rocky Zuurberg Pass, but that also is part of Africa; it should never be too easy. On arrival in this miniature Eden, it is another story. The rooms are made out of canvas and wood perched on stilts with wide decks maximising the mountainous and bush views. Every comfort is catered for with spa baths, and Hemingway safari inspired decoration. The public rooms and mess areas overlook a vast watering hole or communal bath for elephants if you prefer. No, this is no hardship, and that is the other side of Africa; you are here to enjoy certain romantic comforts! Driving back down the pass, you can take a more conventional if equally appealing safari in the Addo National Park, originally designed to conserve a heavily poached elephant population but for the sheer sensual pleasure of being up close and personal to these magnificent creatures, I could not recommend this experience strongly enough.